Home Articles How Many Rounds Should You Put Through Your Concealed Carry Handgun? How Many Rounds Should You Put Through Your Concealed Carry Handgun? It’s a common question asked by concealed carriers once they’ve picked up a new handgun: how many rounds should I put through my gun? There’s no clear manufacturer’s guidance regarding how many rounds before you need to change a barrel or a recoil spring. It’s very much a “see as you go” situation. Basically, after around 100,000 rounds of non-overpressurized ammunition, you’ll begin to see some wear and tear on the barrel. The recoil spring may have needed replacement by this point. But that 100,000 round marker isn’t some sort of scientific litmus test. There is no definitive guide that addresses all makes and models of popular handguns and then examines their lifecycle. The lifecycle of a part is how long a part is generally good for use. If a part is critical to a machine’s process and it fails, the machine is effectively out of commission until that part is replaced. Items like barrels, triggers, recoil springs, striker pins — these are all critical pieces. The good news is that with regular practice and routine maintenance, issues with a decent handgun shouldn’t crop up at all. The complications arise when the gun is left in bad conditions, like salty water or humidity, and covered in corrosive residue from cheap surplus rounds. And even then, a handgun shouldn’t fail. Old military surplus made as early as the 1920s is still in decent functional order. If you walk inside any old gun shop, you’ll likely see a rack of military surplus that could be as old as you are — and it still works. There’s other hazards as well but the majority aren’t detrimental in any near-term effect. It’s only after years and years of improper storage, failing to clean, and using hot ammo that we begin to see the effects on the handgun itself. And why not take good care of your handgun by proper maintenance? There are people who say you don’t need to clean your gun after every time you use it. Regular maintenance is a really good habit to get into and especially after using the handgun. It reinforces proper safety, your own knowledge of the handgun, and maintaining pride in your tools. After all, this is a gun that is expected to save your life should the need arise. Wouldn’t you want to take good care of it? So, in general, feel free to put as many rounds a month as your budget can handle. 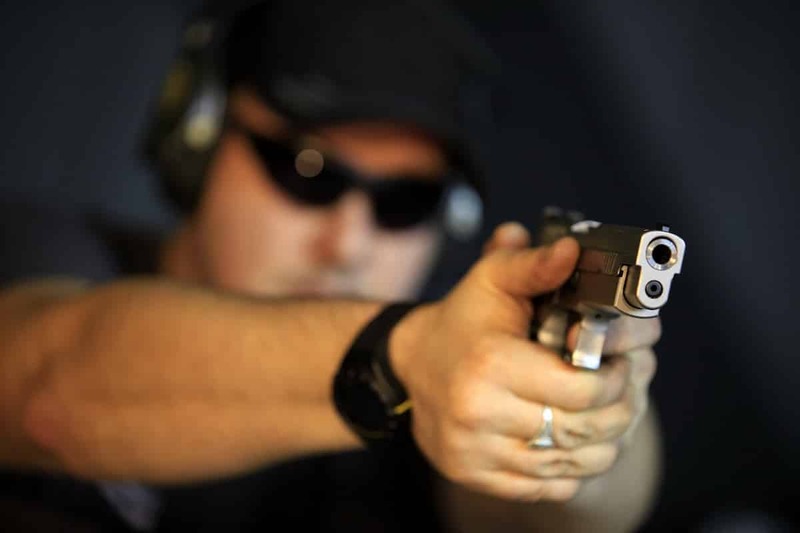 It would be more ideal to practice at a regular interval than to simply put 10,000 rounds sequentially through a pistol during a heavy day of use. Almost any handgun is designed to withstand the wear and tear of firing rounds. If you feel your pistol wouldn’t handle 1,000 rounds of ammunition going through it, you probably aren’t carrying the right pistol. Feel free to let us know how many rounds you’ve put through your everyday concealed carry handgun in the comments section below.